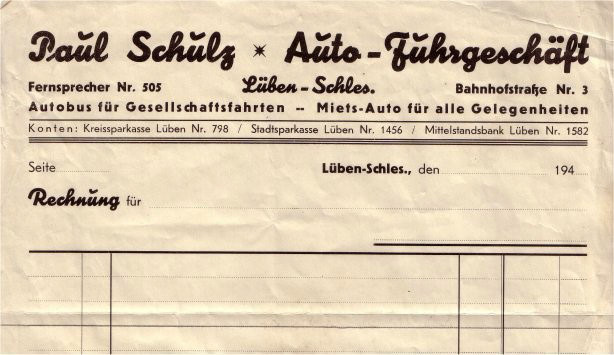 Back in 1929 Paul Schulz, great-grandfather of today’s Managing Partner Uwe Schulz, founded “Paul Schulz – Auto-Fuhrgeschäft” in Lüben near Breslau (now Wroclaw) in Silesia. During World War II the company lost all its assets and its owners were forced to leave the country. 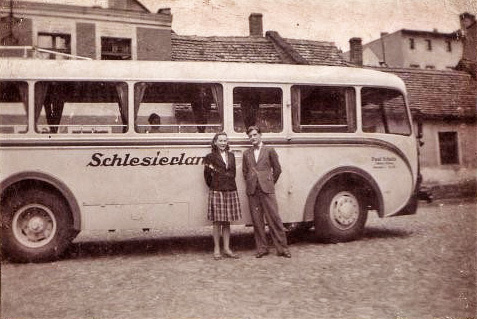 The company was soon after re-established in the small town of Lommatzsch in Saxony, which has been the seat of the company's headquarters ever since. Up to 1989 the legal framework of former East Germany made business activities and commerce extremely difficult. Restricted fuel supplies (allocated via so-called “diesel stamps”), inadequate supplies of spare parts and a lack of repair shop availability, let alone new trucks, are just a few examples of the economy of scarcity that prevailed at the time. With lots of imagination and a plenty of creativity and personal effort, we were able to assemble a single usable truck from several scrap vehicles. Spare parts could only be obtained in barter deals, preferably in exchange for beer, coal or other scarce goods that were in high demand, or we had to fabricate them ourselves. 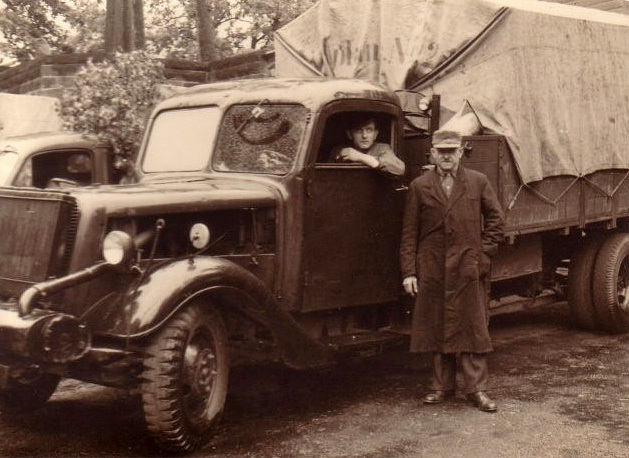 A selection of tools and spare parts (including complete cylinder heads, injection pumps and alternators) were always carried in the cab so that the driver was equipped to deal with any of the regular technical defects that would otherwise have prevented him from getting back home. And, of course, in those days the driver would have carried out the repairs by himself at the roadside. 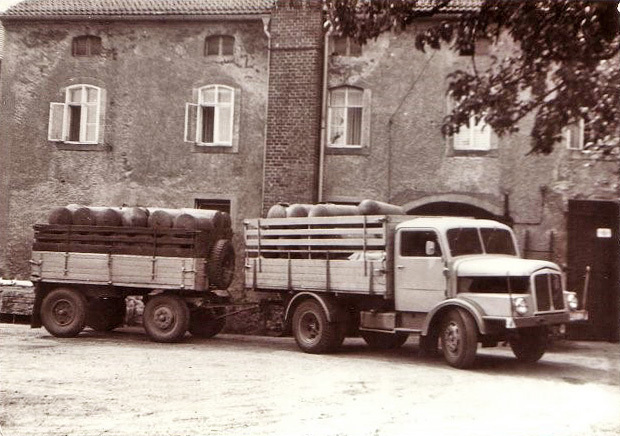 Despite these difficulties, former proprietors Paul Schulz, his son Heinz Schulz and, eventually, Werner Schulz (from 1986) managed to keep “Fuhrbetrieb Schulz” up and running as one of the few privately-owned companies, then dealing mainly in the transportation of metal products and the collection and distribution of milk from dairies. Already back in 1989, the year that marked the start of the peaceful reunification process in Germany, first freight was loaded in West Germany, arousing much curiosity and amazement over the oldfashioned style of the vehicles from the East. As monetary union had not been fully completed yet, there was no way to refuel over the border in West Germany. So, when heading west, drivers always departed Lommatzsch with 25 full 20-litre cans of diesel fuel, which were carried on the open loading area. In 1989 the first modern refrigerated truck was purchased. 5 years later the cold goods forwarding business commenced with a deep-freeze warehouse, 10 trucks and 12 employees. Thanks not only to the growth of our long-standing customers, but also to the expansion of our customer base and operating region, we now have 45 trucks of our own and employ 90 members of staff.